This month Denbighshire Archives will be hosting a launch event for the National Explore Your Archive campaign, along with renowned local chef Bryn Williams. During the launch of the Wales campaign, Bryn will be focusing on some classic and some more obscure Welsh recipes and highlighting how they can be used as culinary inspiration today. Recipes held within our collections range from traditional recipes to recipes for medicinal remedies, many giving an insight into the wider social history of the times. Most of the original recipes are in manuscript form either gathered into volumes or on loose sheets of paper. Most are undated although an approximate date can usually be assigned, and a few have the name of the person who had recommended them. Most recipes are for rather larger quantities than would be needed for the average family today, they are the type of dishes which would have been served in local country houses and in the homes of the prosperous middle class. More usual fare for most working families would have been broth, potatoes, bread and cheese, with the occasional piece of bacon, mutton or beef, and ale or milk to drink. Recipes would not have been needed for preparing this basic and repetitive diet, they would have been passed on by word of mouth, as illiteracy remained widespread until well into the second half of the nineteenth century. The cooks who prepared these recipes would have had plenty of time at their disposal as well as a constant fire, so that the length of cooking time would not have been considered an important economic factor. The use of an open fire also account for the absence of references to cooking temperatures, as these would have been very roughly controlled. Much of the preparation of the ingredients could now be done by modern labour saving devices in a fraction of the time, and although some of the ingredients may be difficult to find nowadays, many of the recipes have stood the test of time and in slightly modified form occur in many basic recipe books today. We will be exhibiting a number of these recipes during our opening hours in November at our office in Ruthin. Places are limited for the Explore Launch on 18th November, get in touch if you would like to attend! How well do you know Denbighshire’s past? 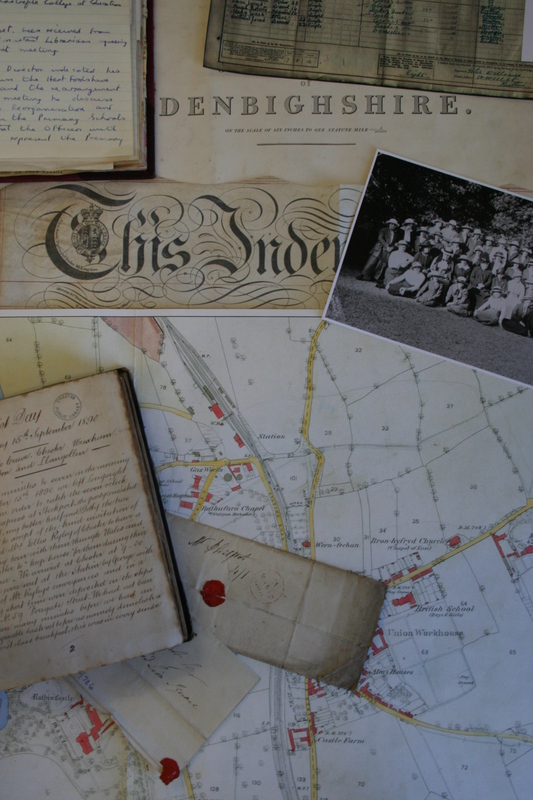 This week (14-22 November) is explore your archive week, which is a joint campaign delivered by The National Archives and the Archives and Records Association across the UK and Ireland. It aims to showcase the unique potential of archives to excite people, bring communities together, and tell amazing stories.